Jr All-American Game took place at El Camino College this past Saturday. 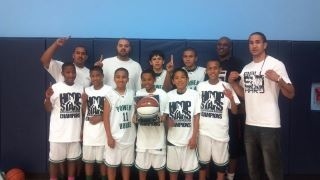 The game featured some of the top 5th grade-7th grade AAU players from the Southern California Area. Coach Dawson (Tri City Ballers) went against fellow rival Rising Stars Coach Jimmy Burton in the 11u game. Congrats to Paul Bingaman Jr (LA Bobcats & AZ Powerhouse 12u) and Lucas Hobbs (Tri City Ballers 11u) for being the Academic All American winners for their respective age/grade group. Special thanks to Richard Whiteside for the piece.